Many of the Black Friday Sales have already started, so be sure to check out our sales sections for all of the best deals. We will continue to update them all weekend and will include Cyber Monday Sales as the sales start. Retailers are offering some of the best sales early this year. Amazon starts their Black Friday sales today! New deals will be added daily, so be sure to check back often. You’ll be able to finishing your shopping early, and save lots of money too! Be sure to check out our sale section for the best holiday sales and Black Friday Sales. Get free shipping on all orders of $50 or more at Gap.com, Banana Republic.com, Athleta.com, and Old Navy.com. All of these stores allow you to put items in the same shopping cart. The discount is automatic on orders placed by December 15th. Save 25% off full priced items at Gap.com with coupon code “GIFT123” ends Nov 22, 2009. At Old Navy.com save 15% off $75 or 20% off $100 or more with code “ONSAVE15” ends Nov 23, 2009. Everyone loves a bargain – especially me. My Mother was the ultimate bargain hunter! My Father was a policeman and my mom a stay-at-home Mom. Money was always tight. My mother was mastermind when it came to finding bargains. She had no other choice. We would sometimes arrive at stores early, scout out the best finds and then wait for the time to arrive when the extra percentage off sales occured. As I am now a Mother and a tall woman, finding bargains in tall clothing has been more difficult, but still doable. Most tall clothing in not found instores, but online only. I actually find this as a plus as I can make more efficient use of my time, by shopping online and having them delivered directly to me. I love to find bargains, hence the reason why I love to update the tall clothing sale pages. There are many tall clothing outlets. 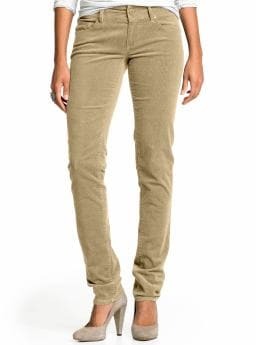 I love this pair of women’s tall tuxedo pant from Banana Republic and apparently so does everyone else as sizes are selling out fast. They look so festive for the holidays! Made of a luxurious blend of soft wool and mohair, they are also decked out in festive satin-trim and a cumberband-inspired waistband. Make sure you dry clean these babies. From now until Christmas, orders of $90 or more at eShakti’s women’s custom clothing will qualify for a free piece of jewelry or accessories worth around $25. 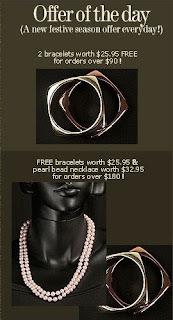 And for orders over $180, you get an additional, different, new free jewelry or accessory worth over $30. We think eShakti is one of the best options for tall women’s clothing or plus size clothing. Being able to get affordable custom made clothing in our size is one of the best secret weapons to help us dress our best! Be sure to check our their new Merino wool sweater collection. They have a really fast turn around time, with items shipped 3 days after your order! It’s time to purchase some men’s winter boots. We thought we’d give you a rundown on our top 5 men’s winter boots available in larger sizes. ECCO Track II Moc High 1954 available to size 14.5 with great waterproofing and comfy with high reviews. available to size 15. Nice insulated work boot with watertight seal. Danner Desert TFX Rough Out GTX 8″ available to size 15, ultra comfy and long lasting. available to size 17. Stylish and always popular and can withstand sub zero temps. Sorel – Caribou available to size 17. Rated to -40 degrees. They have a removable felt inner boot. Be sure to check out our men’s large size shoe page for current coupons and discounts. We have done the hard work for you of sorting through 71 sale pages to find longer length clothing on sale, see the entire list that we recommend on our sale page. We just updated our special section of women’s dressy tall evening tops as part of “The Big List of Women’s Tall Clothing Basics.” These are tall tops that can be worn alone or under a jacket or blazer. Just in time for the holiday season, this will be your go to blouse for special occasions. We recommend one with short sleeves as you will get more mileage out of it. Your dressy evening top can be worn to weddings, social occasions, business meetings and more. Pick a classic style that can be worn for years to come.